K- 1st Grade Soccer: Mondays 5:00-6:00p The Ann Arbor YMCA Youth Soccer Clinic is an instructional program for children in kindergarten and first grade that provides lots of touches on the ball and focuses on teamwork, skill development and fun! Coaches focus on introducing the basic fundamental skills of shooting and passing all while encouraging effort and safety. 2-3rd Grade Soccer: Mondays 6:00-7:30p The Ann Arbor YMCA Youth Soccer Clinic is an instructional program for children in 2-3rd grade that provides lots of touches on the ball and focuses on teamwork, skill development and fun! Coaches focus on introducing the basic fundamental skills of shooting and passing all while encouraging effort and safety. 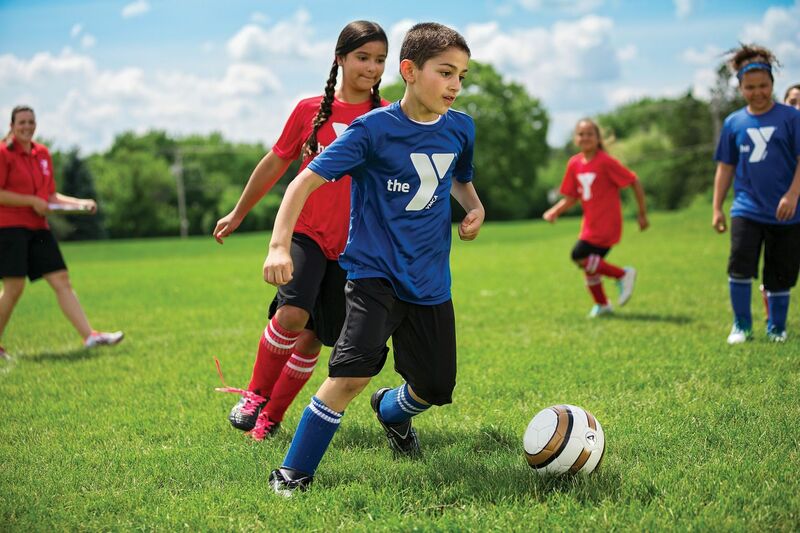 4-5th Grade Soccer: Thursdays 6:15-7:30p The Ann Arbor YMCA Youth Soccer Clinic is an instructional program for children in fourth-sixth grades that provides lots of touches on the ball and focuses on teamwork, skill development and fun! Coaches focus on introducing the basic fundamental skills of shooting and passing all while encouraging effort and safety. LEAD THE TEAM: BECOME A Y VOLUNTEER COACH! Y youth sports teams are coached by one or two trained YMCA volunteer coaches, many of whom are parents or community members. If you like to work with children and enjoy helping them learn and succeed, we need you! If you are interested in coaching, you need to be at least 14 years of age and to attend a Y coach’s workshop prior to the start of the season. Our workshops introduce volunteers to the YMCA’s character values and youth development philosophy as well as give you the practical skills necessary to teach and lead youth sports teams. No formal coaching experience is necessary; all we ask is that you are committed to helping young people build positive self-images and develop a passion for an active lifestyle.